The staff was very friendly and explained everything we needed to know. The room was nice and clean. We also enjoyed the free breakfast. It's the experience you expect to have when you stay at a hotel. I was pleasantly surprised by the breakfast and its quality. I was expecting the availability of breakfast. Always feel welcome, this trip I brought another family member to enjoy. Staff and location is perfect close but, not to close to freeway, shopping and food. Location. The beds was comfortable. Check in& out was fast & easy. Great breakfast selection and service. Staff are very friendly. Rooms comfortable. Great one night stay. Good location. Comfortable, clean. Good basic breakfast. Near shopping /restaurants and gas. Great hotel for overnight travellers stay. It was clean the bed was fairly comfortable. Decent breakfast. Super comfy bed. Assortment of toiletry amenities. Spacious room. Free breakfast. Best Western Fernley Inn This rating is a reflection of how the property compares to the industry standard when it comes to price, facilities and services available. It's based on a self-evaluation by the property. Use this rating to help choose your stay! Located off Interstate 80, this Fernley, Nevada hotel offers a daily continental breakfast and rooms with free Wi-Fi and a cable TV. The Silverado Casino is within a 5-minute walk. 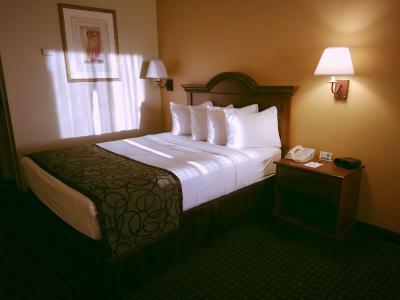 A coffee maker and seating area are provided in all rooms at the Best Western Fernley Inn. Each room features simple décor and has carpeted floors. Free access to the seasonal indoor pool and hot tub is provided to guests. The hotel’s business center is available 24/7. The Golf Club at Fernley is 5.7 miles from the Fernley Best Western Inn. When would you like to stay at Best Western Fernley Inn? Free Wi-Fi, cable TV, microwave and small fridge are included in this room. Hills and mountains that produce breathtaking sunsets and sunrises surround our small valley town. The BEST WESTERN Fernley Inn is fully landscaped with wildflowers and shady trees that help you relax. House Rules Best Western Fernley Inn takes special requests – add in the next step! Best Western Fernley Inn accepts these cards and reserves the right to temporarily hold an amount prior to arrival. Clean but a little dated decor wise. 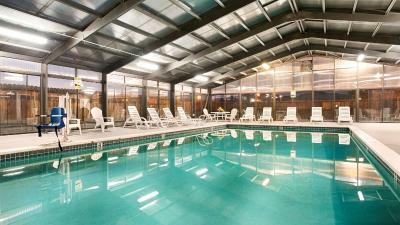 Best Western Fernley Inn caught my eye because of their advertisement of an indoor pool. The pool was never even open. There was urine all down the front of my toilet. The room could use some deep cleaning. You can put a big pretty bow on a turd but unfortunately it's still just a turd. The bed was a little hard for me but then again I have back issues. Also I wish they had an ice machine upstairs. Other than that it was wonderful. Comfy chair in the room. Morning staff at front desk was extremely rude. The bathroom wasn't as clean as should be. Hair on shower walls & bathroom floor. There wasn't a bath mat to step out of the shower onto ( luckily there were enough towels to use one for that). The soap dish was dirty. The microwave had pizza sauce (or something like that) on the buttons & handle.